Seamus Farrelly (63-68), Ross Ormsby, Brian O'Driscoll. 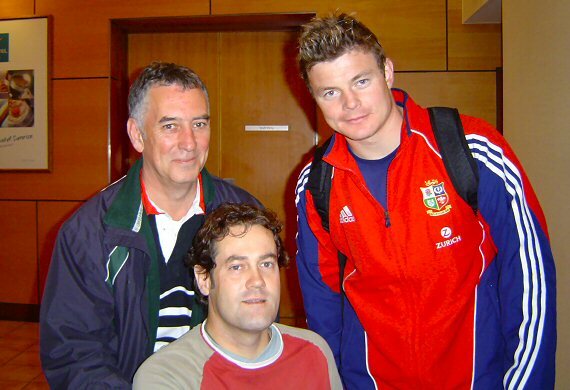 In the O'Driscoll photo it's another rugby injury lad, Ross Ormsby who broke his back 20 years ago in a scrum accident. He was the one I first contacted with the charitable trust "Back to Back" to see if I could help any lads while I was travelling around NZ.